We’ve got another interesting place to visit at our coconut farm. Everybody will have the experience of transforming into coconut farmers, and listening to the story of coconuts from a local guide. 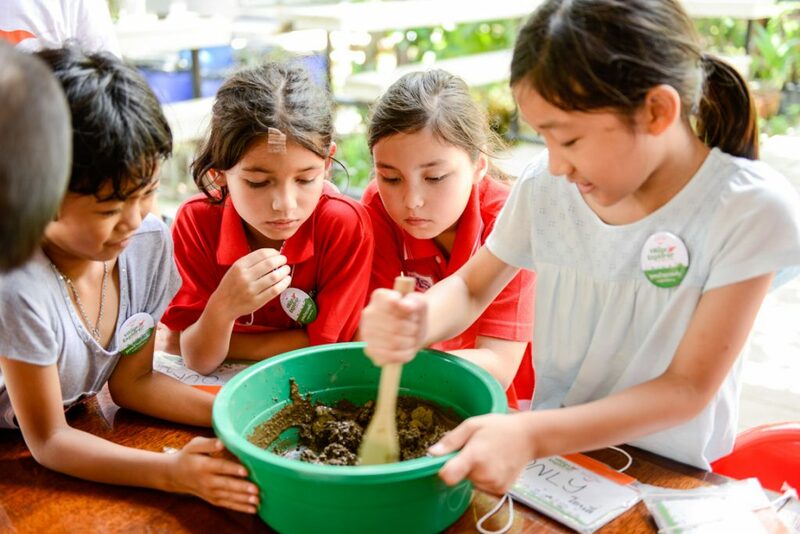 Then your kids will learn how to make coconut sugar that is both fragrant and delicious from a famous community recipe. And they’ll even get to form coconut sugar drops in creative shapes, however they like, such as super cute cartoons, vegetables and fruits. 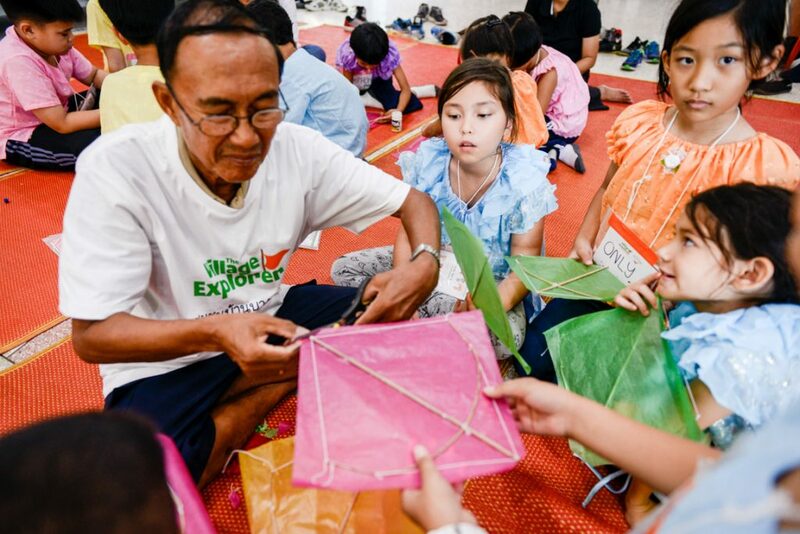 Another main attraction of our learning center is creating chula and diamond kites. Children will also get to test their kites and see how they perform in an open field. Let’s see whose kite flies the highest and for the longest time. 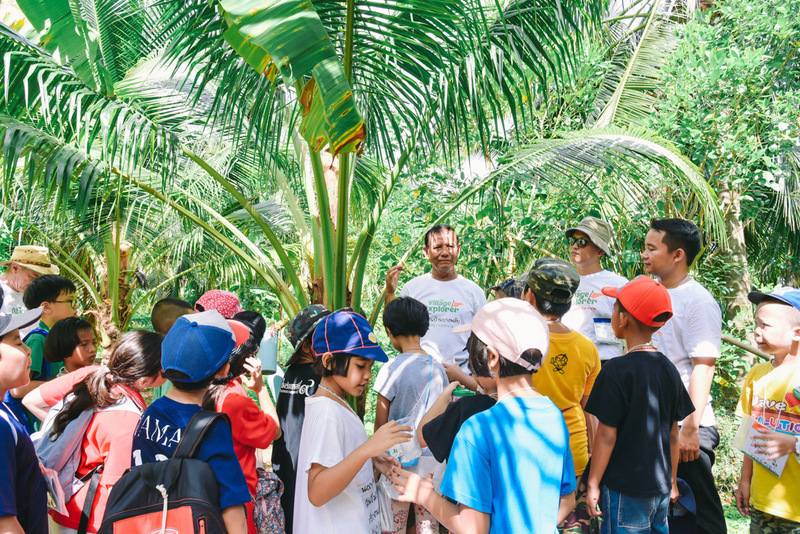 Kids will get to stroll around in our pomelo orchard where they can pick big, sweet, tasty pomelos to make a pomelo salad with a popular, skilled cook in the community instructing them. Guaranteed, your kids will love it and definitely want to take the recipe back home to make for their parents. 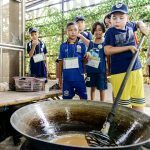 Making salted eggs from the anthill clay is another fun activity for the children to experience. They will get to learn how to make these from start to finish, and what it takes to make delicious salted eggs. 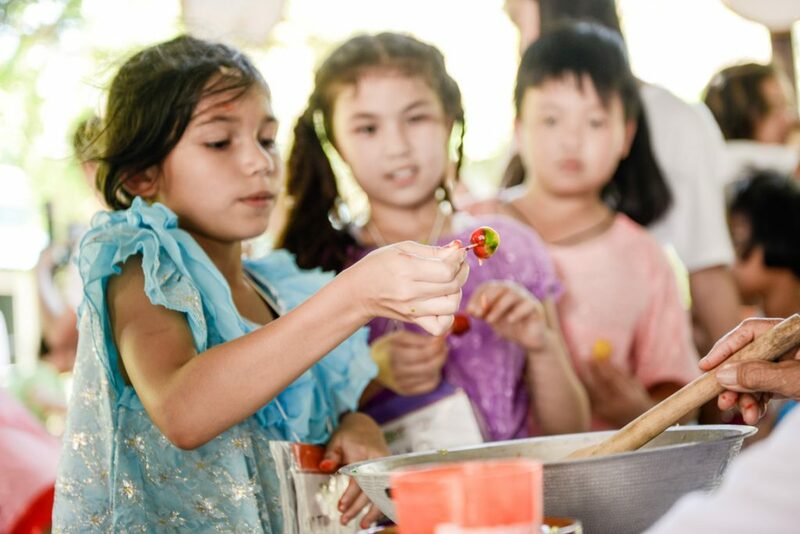 Moreover, they will learn how to make salted egg salad, a dish that is suitable for children who do not eat spicy food. 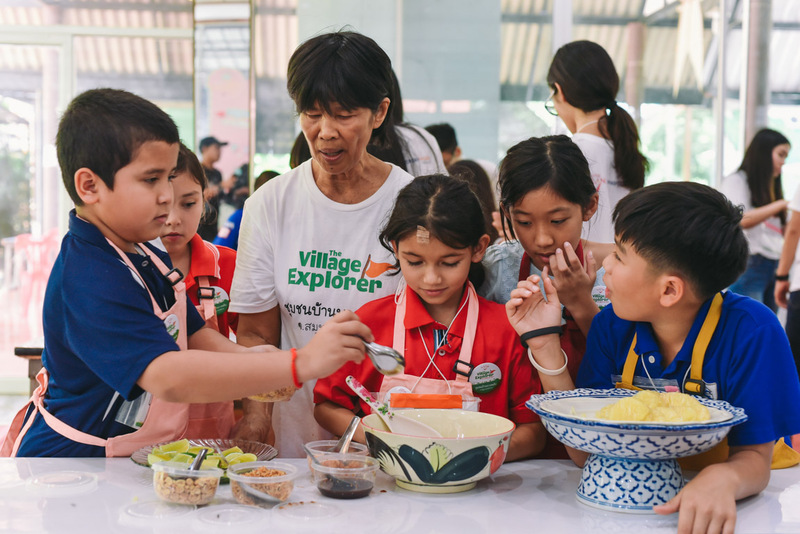 Another fun activity that children will get to do is to use raw ingredients from the community and turn them into delicate desserts, such as imitation Thai fruits (Khanom Louk-Choup), where everyone will mold the fruits, dye them, and taste to see how good they are. 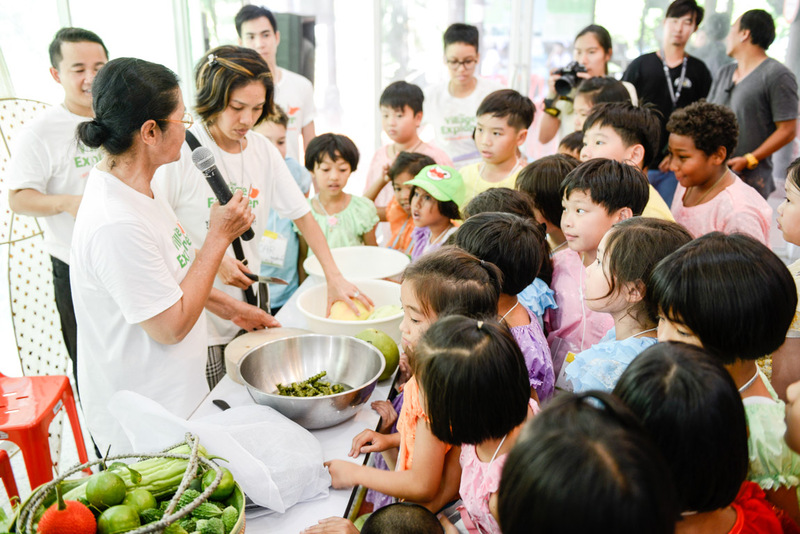 Children will get to try to transform bitter fruits into sweet and tasty desserts. They could never imagine that the fruits tasted so bitter before. 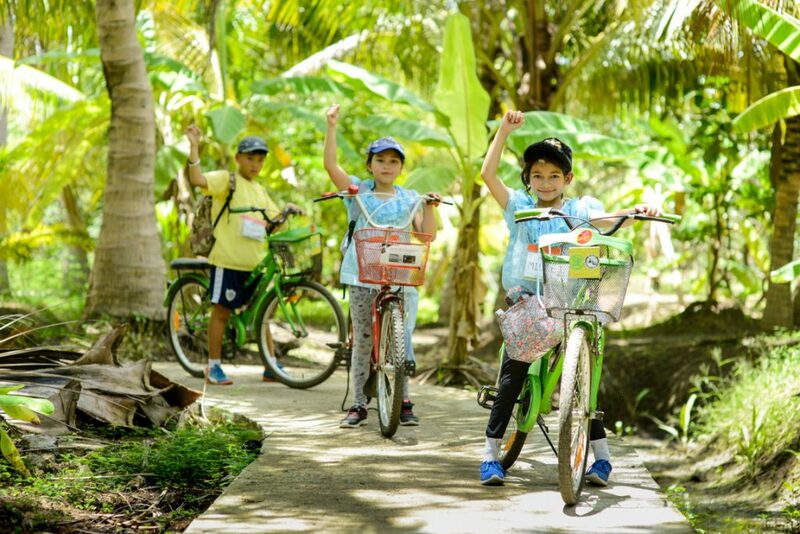 Children have a chance to experience a change of scenery and relax among our flower gardens, observe nature and ride bicycles to exercise in our fields. © 2017-2018 www.TheVillageExplorer.com All Rights Reserved.